Several issues raised by Balson resonate sharply with me as I work through similar questions in my own new novel. 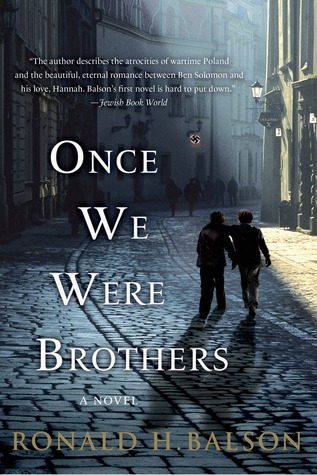 ,,, Ben hates his former friend and “brother” Otto for failing to save his parents and others from Nazi torture and murder but gives no credence to the enormous risks Otto did take to save Ben and his wife, the unsuccessful but still substantial efforts Otto made on behalf of others, and the numerous warnings he made for all of them to leave Poland while they still could. In the scenes where Otto was complicit in the murders, it seemed clear from Balson’s description that Otto’s only alternative was to try to save them and fail, and in the process commit suicide. … What could Otto have done? What could any of the small cogs in the Nazi machine have done? Collectively, of course, tens of thousands of Germans could theoretically have refused to carry out Nazi orders, fomented or carried out revolution against Hitler, or fled Germany. Whether such actions were actually possible is highly questionable, but even if successful, they would likely have meant the deaths of the perpetrator’s families and neighbors. … There should be a distinction, it seems to me, between patriotic actions in furtherance of national war aims and actions that were later termed, correctly in my view, war crimes. Should a patriotic German at a relatively low level in the army or even in the SS or Gestapo be held accountable for failing to distinguish the line between fighting for his country and committing acts against humanity (as later defined at the Nuremberg Trials)? I say yes, the line was clear enough, but the more difficult issue is whether you are obliged to risk not only your own life but also the lives of your own family, especially if you think your protest has no chance to succeed. Balson raises all of these issues, and more, in stark dramatic form. A very good story. This entry was posted on September 7, 2015 at 3:52 am	and is filed under *** Uncategorized. You can follow any responses to this entry through the RSS 2.0 feed. You can skip to the end and leave a response. Pinging is currently not allowed.